Pamela Kofsky, NARI Programming Committee Co-Chair and Founder/Designer of Elegant lnterior Designs, introduced the guest speaker at Bucks Mont NARI, Shawn McCadden. 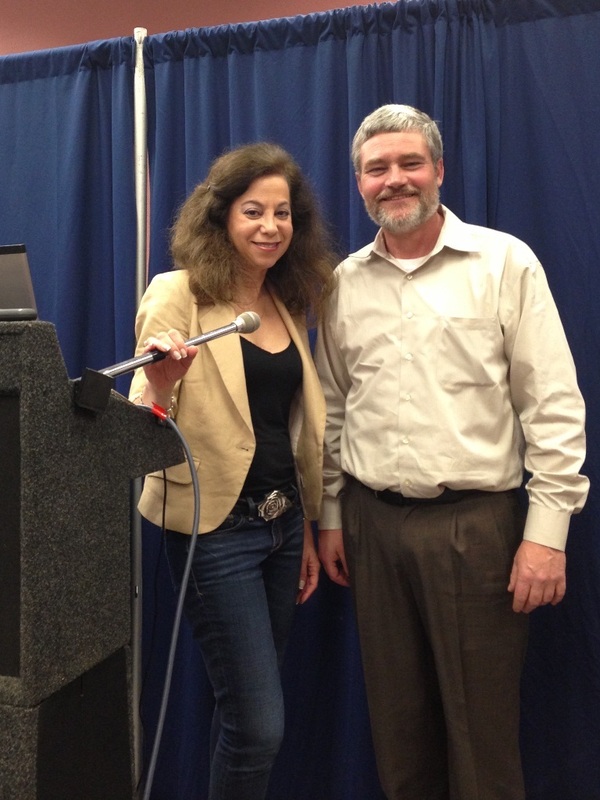 Shawn is a nationally known speaker, business trainer, columnist and award winning remodeler. This photo was taken at the our 2013 Educational Spring Fling hosted by Keiffer’s Appliances. 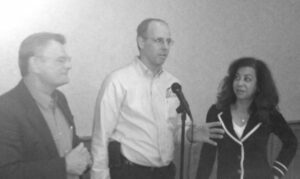 January 2013, I was one of 3 business owners on a discussion panel for NARI (National Association of the Remodeling Industry) on Building a Design Build Team for Small Companies. The topic was centered around how can you market and operate effectively as a Design Build company if you don’t have an in-house designer or architect? The panelist shared ideas and experience about the benefits and potential pitfalls involved. Panelist were Brian Martin, Builder and Owner of The Master’s Design Build Group; Eric Van Reed, Architect and Owner of Creative Design Associates and Pamela Kofsky, Interior Designer and Owner of Elegant Interior Designs. Window Placement: Do you ever think that a window is too close to a corner, out of place or awkward in a space? What about when you were looking for a window treatment? Did that make it better or worse? Was there enough space for a window treatment? This problem could be easily avoided if the designer was involved before construction of the home. Even moving the window as much as 1’ could make a big difference and could allow enough room for window treatments. Furniture Layout: can be determined prior to construction to make sure the room addition is large enough to accommodate the desired use of the room. Accents and Product Selection: Assistance with flooring, lighting, tiles, backsplash, plumbing fixtures, wall, ceiling and trim colors can be determined early in the process and help the contractor and home owner with a smooth and stress free construction process. Electrical and Plumbing locations! Forget wishing the outlet was closer or using an extension cord –our floor plan can lay that out ahead of time. Improved Communication: Seeing the big picture early by the home owner allows the designers to work with a design build team provide a single path of communication to the client and assist them with a comprehensive plan for the project. In the end everyone wins! Will you now include an interior designer on your design team during the initial planning phase? Don’t forget having an integrated team allows for the work to be completed faster, more efficiently and with fewer problems. 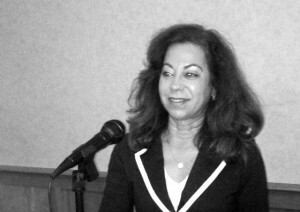 Pamela Kofsky, Founder/ Designer at Elegant Interior Designs was the featured speaker at the Chester County Chamber of Commerce, Malvern, PA, Wine & Wisdom series on June 21, 2012. 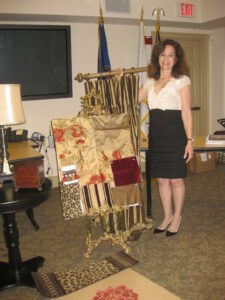 Pamela created several different vingettes with fabrics, trim wallpapers, accessories and flooring. It was very hands-on, interactive and fun! 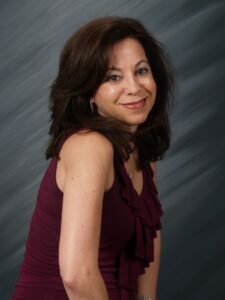 If you are looking for a great speaker for your next event, give Pamela a call. My extensive sample fabric collection is proof enough that fabrics are very important in my work. This design really strikes my attention because of the high quality and moderate pricing while the textiles and accessories are fun enough for a girl’s bedroom or play area. 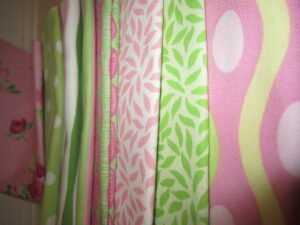 The line uses colors that are vibrant and designs that are unique to keep the room one- of-a-kind, somewhat similar to the new Lilly Pulitzer fabric line that debuted this past fall. 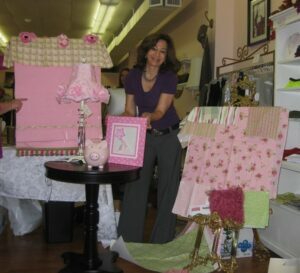 At a recent speaking event I paired together samples from the line to display how well the pieces integrate together to form a perfect girl’s room. Check out these bold fabric prints. Do you need a Girls Afternoon Out? How about November 6th! Join Pamela Kofsky, Founder/Designer of Elegant Interior Designs the featured speaker on Sunday November 6, 2011 from 2:00 to 4:00 at Sew Vintage Boutique 60 E. Butler Ave. Ambler, PA 19002 for a relaxing afternoon of wine, cheese, shopping and an accessorizing demo to show you how to accessorize your home with style! Don’t miss this great opportunity to learn tips and tricks to spruce up your home before the holidays. 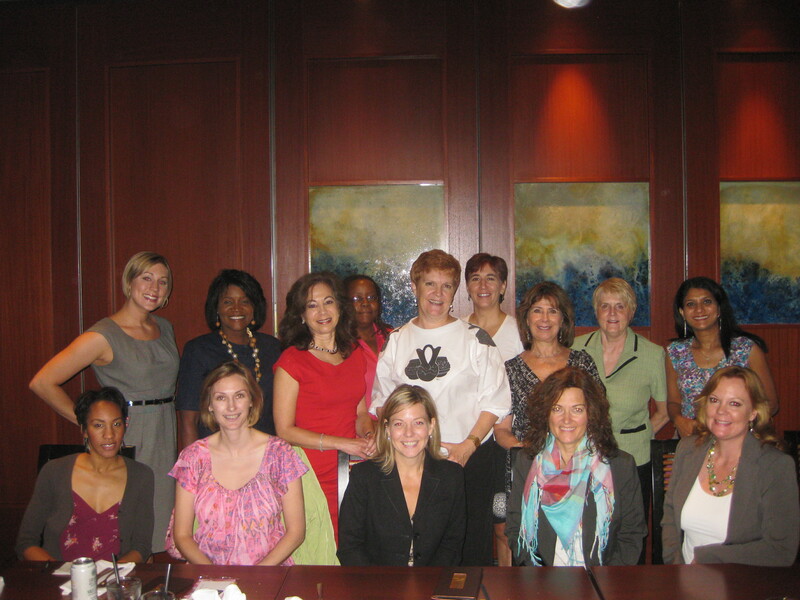 Womens Power Networking (Greater Philadelphia chapter) featured Founder/Designer, Pamela Kofsky as luncheon speaker. Pamela spoke about how to accessorize your home transforming it from ordinary to extraordinary with simple design guidelines. Well placed accessories can make any room come alive by adding interest, texture, shape and color to the design. Adding color and interest to the ceiling creates a more pulled together look. These suggestions along with our next Blog post, “Turn Ordinary Into Extraordinary: Accessorize with Style” will both be great tips to help you start accessorizing your home. 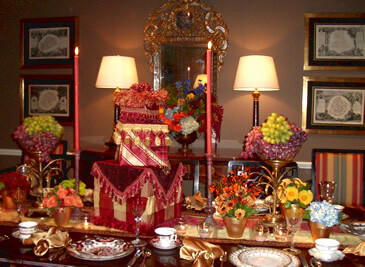 If you would like help accessorizing your home call Pamela at 215-920-9655. Your project may qualify for the Summer Make Over Contest. 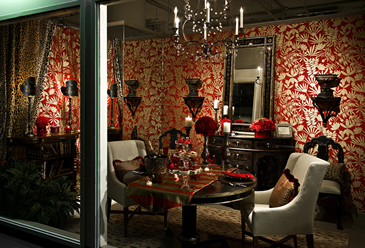 Elegant Interior Designs was one of a handful of designers selected to be a part of Design for a Cause. We are a proud to be a part of the this charitable event held at the Marketplace Design Center. Design for a Cause allowed visitors to experience the talent and elegance of the area’s most presetigious Interior and Floral Designers. The proceeds of the event were donated to help fund breast and prostate cancer research. Once again Elegant Interior Designs was a part of the Marketplace Design Center’s fundraising event. Discover inspring landscaping ideas and find a top local landscape contractor or residential landscape architect to plan your garden landscape. Share photos of the cabinets and kitchen sink you like with a top kitchen remodeler in your area.